Dogs love to walk if you will spend the time to take him out on a walk 2 to 3 times on daily basis. They love to smell new things, experiencing something outside the house. This activity can save you from several headaches like when you go outside your dog will sleep instead of barking or bothering neighbors. Such activities keep them active and prevent from gaining more weight. Pay consistent attention on training them so they could feel happy. The dogs are not mean to sit and sleep. They need many mental stimulations to stay happy and relax. Play with them and challenge them with short tricks, sit, run, roll over, shake and more. 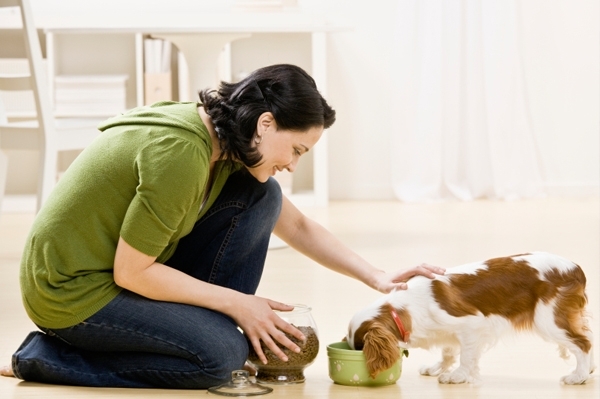 such practices will make your dog less aggressive. Mostly giant and intelligent dog breeds are used for herding, hunting and working. you can train your dogs to open doors, cuddle the close ones, behave silently, to bring drinks from refrigerator and more. even they can be trained to use toilets. For every good action offer, them treats like bones, carrot, apples, celery. it keeps reminding about their good actions. Your dog is attached to you and when you share your personal space or allow them to sleep on your bed they feel privileged. They don't like avoidance, keeping them outside of your room will hurt them. Dogs are sensitive and if they get punished or offended for any action, they get afraid. It can affect your dog's health. Pamper and cuddle often to show how much you love them. You can bring them on trips and always be careful that don't feel too much hot or cold. This much care and concern make your dog love you even more.